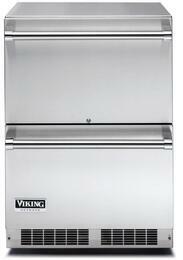 Viking is one of the top brands manufacturing luxury appliances. They offer a variety of refrigerators from their 3, Professional 5, Professional 7, and Virtuoso Series, each having their own advantages to accommodate your kitchen. 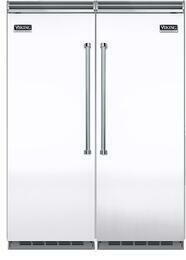 Build a personalized refrigeration system to suit your practical needs with column refrigerators. They have the option of right and left hinges to allow for multiple configurations. 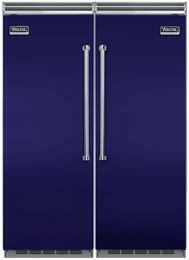 All refrigerators can be combined with upright freezers to your own customized side-by-side configuration. 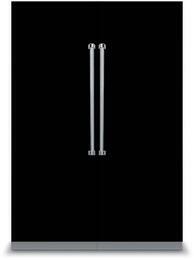 Bottom freezer refrigerators have a standard width of 36” and have a roomy capacity of up to 22.1 cu ft - taking up only a moderate amount of space while providing maximum storage. 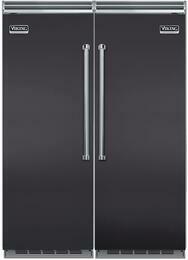 You can also choose from French door models to keep up with the most popular trends in high-end kitchen refrigeration. If you prefer less trips to the supermarket, units with an expansive 48” width have a cavernous 29 cu ft capacity that keep your favorite items stocked. 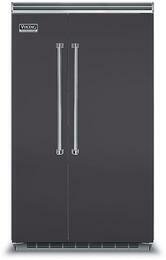 Freestanding drawers will provide additional storage for beverages and produce. 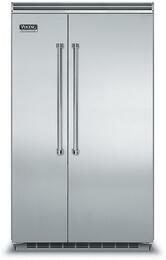 Most units are built-in and counter depth to fit flush with their surroundings. 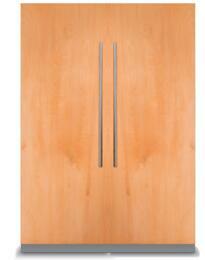 Some are panel ready to match your cabinetry. These refrigerators are also available in an assortment of finishes such as white, black, blue, red, and titanium to fit your aesthetic preferences. 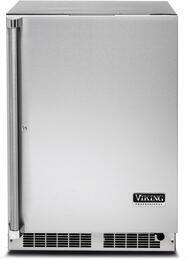 Viking refrigerators are equipped to handle many preservation tasks. 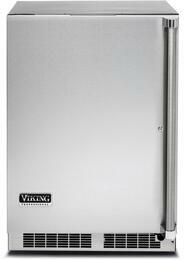 The adaptive defrost control improves food storage by defrosting less often and only does so when needed. Odor free evaporators will prevent fragrant cheeses from spreading pungent odors around the fridge, while temperature and humidity controlled crisper drawers retain the freshness of fruits and vegetables. And in case a carton of juice leaks, spill proof shelves will shield liquids from spreading so that there aren’t extra clean-ups. 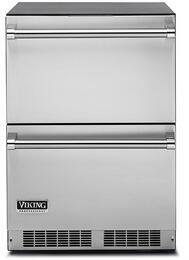 Viking values the importance of ideal temperatures for superb results and makes no exception when it comes to our planet’s climate. This quality is certainly seen in Energy Star rated models, keeping foods in excellent condition while being environmentally friendly.